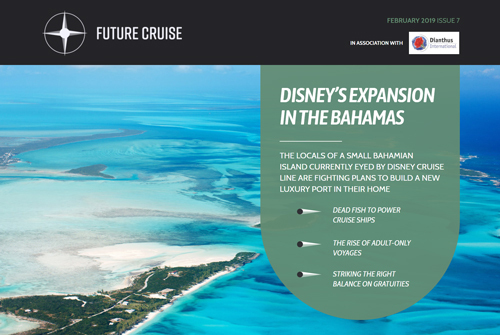 Tensions rise in the Bahamas over Disney’s new port proposal, adult-only cruises gain in popularity, liners land in hot waters over gratuities, and more. 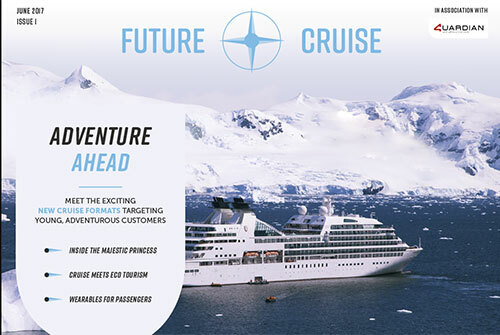 The world’s longest cruises, Michelin-starred cuisine at sea, Cuba’s success story, the return of Independence of the Sea, and more. 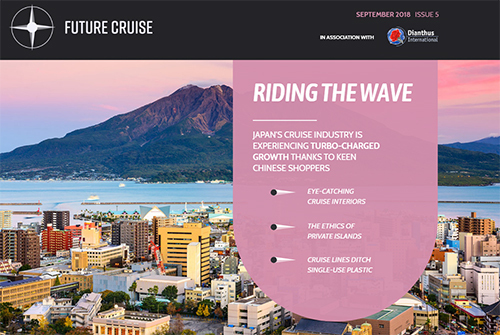 The most eye-catching interiors the cruise industry has to offer, plans to ditch single use plastic on board vessels, the ethics surrounding private cruise islands, and more. 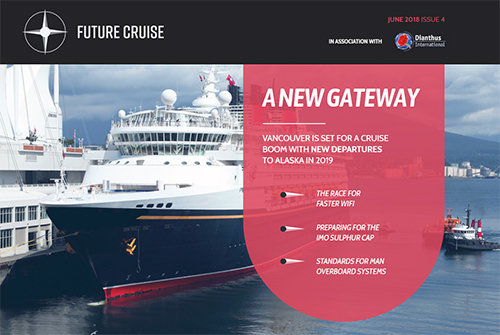 Vancouver gets ready for a cruise boom, Royal Caribbean’s Symphony of the Seas, new guidelines for man overboard systems, Disney Cruise Line’s LNG plans, and more. 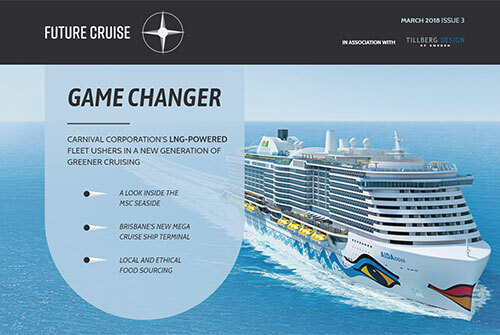 Carnival’s LNG-powered fleet, Brisbane’s plan for a mega cruise ship terminal, a look inside MSC Seaside, American Cruise Lines’ new European-style riverboats, the challenges of sourcing food locally and ethically, and more. 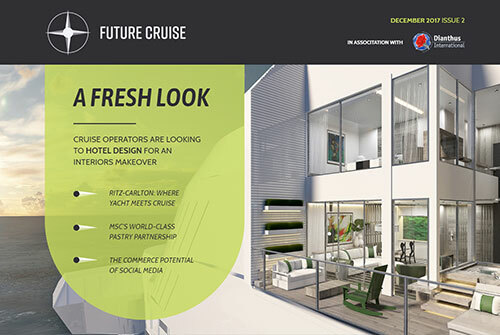 Cruise operators look to hotel design for an interiors makeover, a look inside MSC Meraviglia and its world-class pastry shops, yacht meets cruise at Ritz-Carlton, the commercial potential of social media, and more. 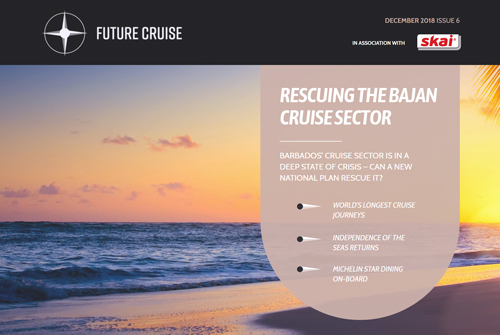 New adventure cruise formats target young customers, a look inside Majestic Princess, cruise meets eco tourism, the growing trend of wearable tech accessories for passengers, and more.